Phew! I am back. My computer was down with the flu. I should have taken better care when I went out in a hurry searching Google for Manisha Koirala's marriage photographs. I know! It cannot get any worse, stupid or silly. No disrespect to actors, since you can see I must like her to be gawking at her pictures, but now on I will think a million times before I go to gawk at pictures online. I hope you will enjoy this refreshing dip as much as I. Dip into it with some vegetable flavored Ritz crackers or spread it on your fajitas and Enjoy! Serve with crackers or with rolls. yummy recipe n good luck with the weight loss program! And hey, u have tempted me to sneak in thru manisha koirallas pics....lol....guess my pc will et flu too?! wow! the picture looks very tempting and inviting. Lovely dip looks wonderful and tasty. Guacamole adipoli sunitha. be careful with photos, usually Trojan and other dangerous things comes through photos. Great looking pics, looks lovely with crackers. Must have tasted great as well. WOW..yummy easy recipe! Nice clicks too! Love your clicks... you are so talented!!! oh, love this Guacamole...perfect dip with some tortilla chips..yum! lovely guacamole and very attractive presentation. such a cute n beautiful presentation ....love it ! very healthy n fab...lovely click. 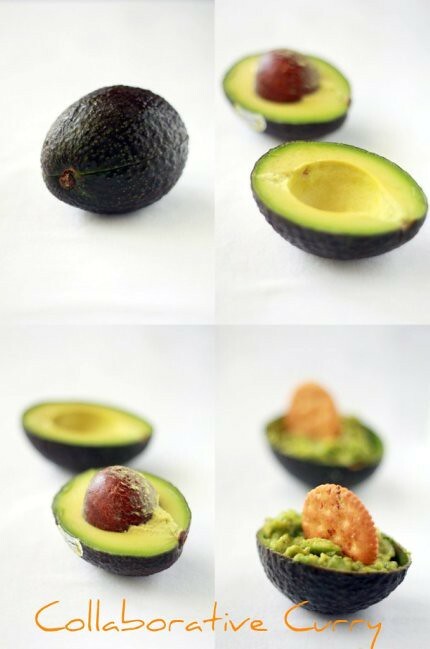 Beautiful pictures of the healthy n yummy guacamole..Its our fav dip too..
Lovely Guacamole dip! Beautiful clicks! Sunitha, what a lovely presentation dear, I love guacamole and cannot stop once I have a bowl and chips in hand. Please do send it to my "Veggie/Fruit A Month - Avocado" event. Great recipe. The dip looks lovely. I love the lovely bowls. 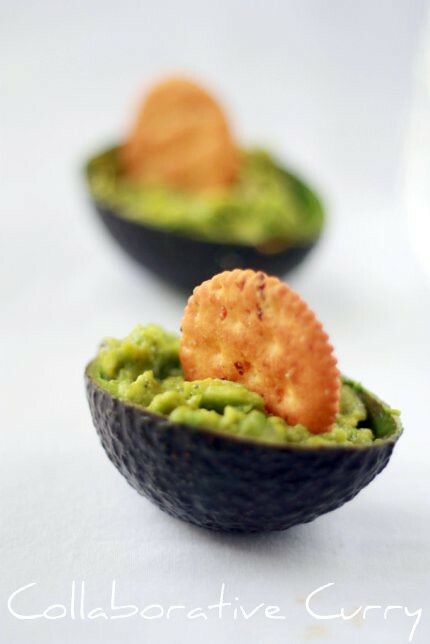 Simple,yummy and healthy recipe.I too love the guacamole. Guacamole looks delicious, wish i cud grab one ! welcome back...love your clicks...eye candy!! Beautiful clicks, very pleasing and tempting.. Stunning & vibrant pictures & I so love the guacemole presented in that shell from the avocado & the cracker in it,..is loooking lovely & special too! Awesome clicks, really very nice presentation. I love guacamole at any time. thats one easy peasy dip and defntly tasty too...hope u had a super duper trip back home. My favorite. Simple and Yummy. looks great... and loved your presentation..
Luckily I got her marriage pictures in my inbox as a fwded msg. Awesome clicks and nice presentation. like it .. wha a lovely pics yarr..